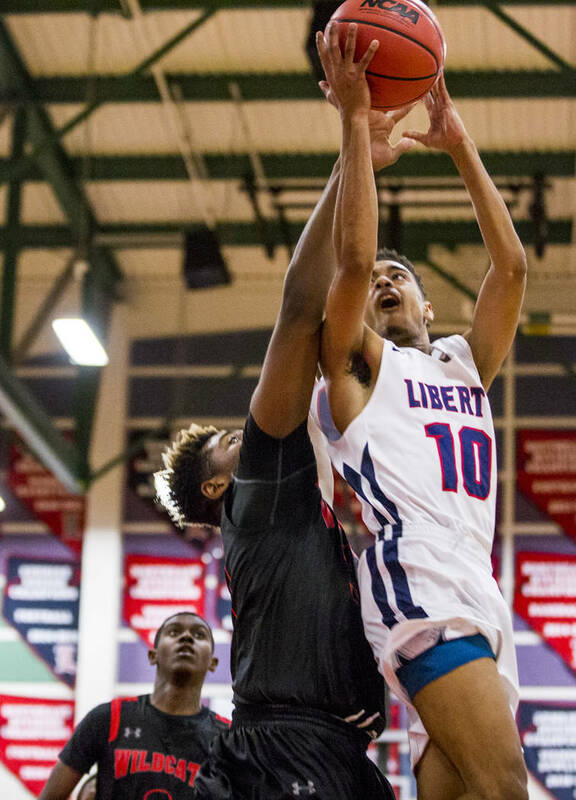 Liberty senior guard Cameron Burist scored 32 points to lift the Patriots to a 82-70 home victory over Las Vegas on Tuesday night in Sunrise Region quarterfinal play. 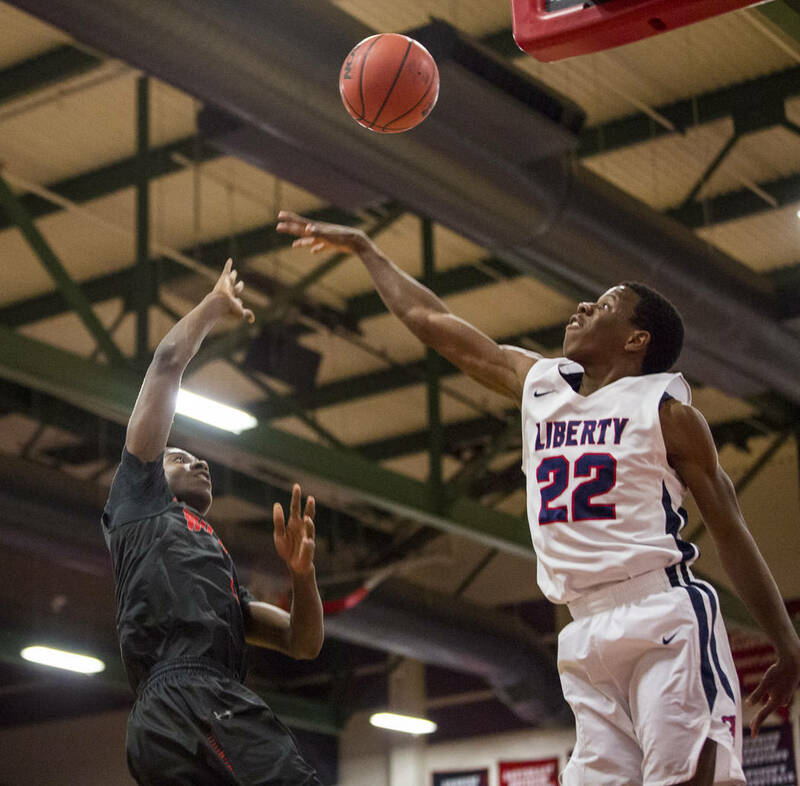 Liberty guard Cameron Burist didn’t want his senior season to end Tuesday night. 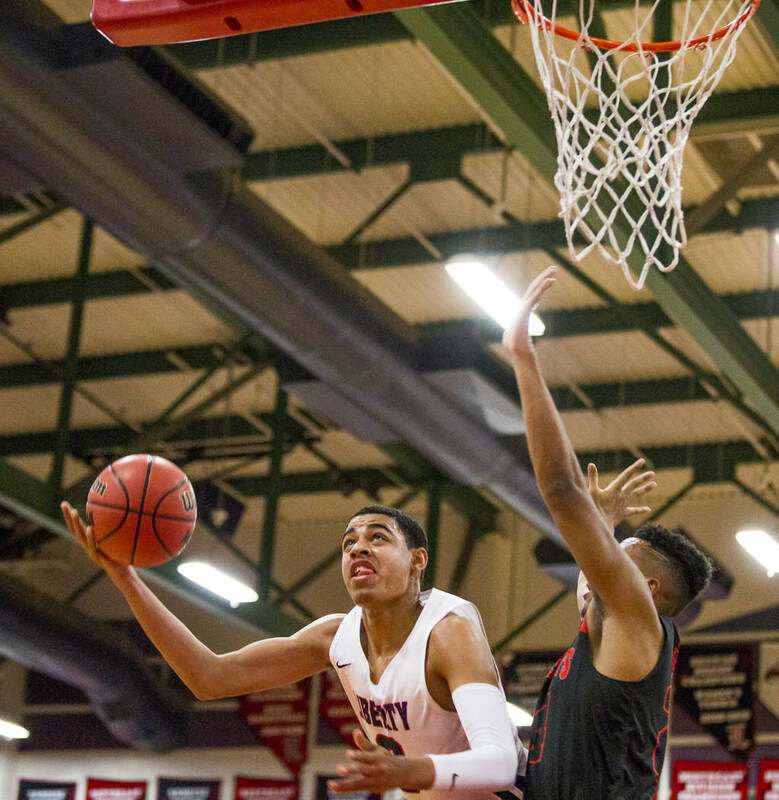 He scored 32 points to ensure he’ll play at least one more high school basketball game. 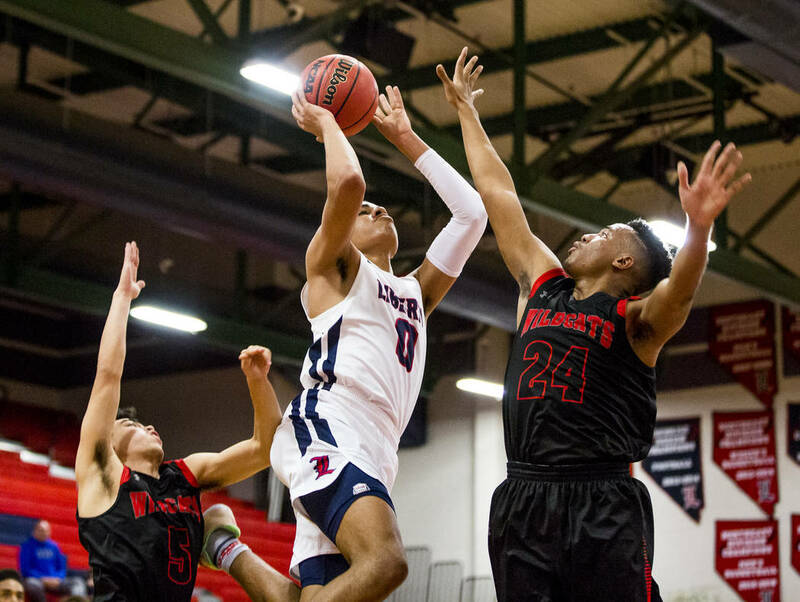 Burist eviscerated Las Vegas High School’s defense, and sparked the Patriots to an 82-70 home victory over the Wildcats in their Sunrise Region quarterfinal matchup. 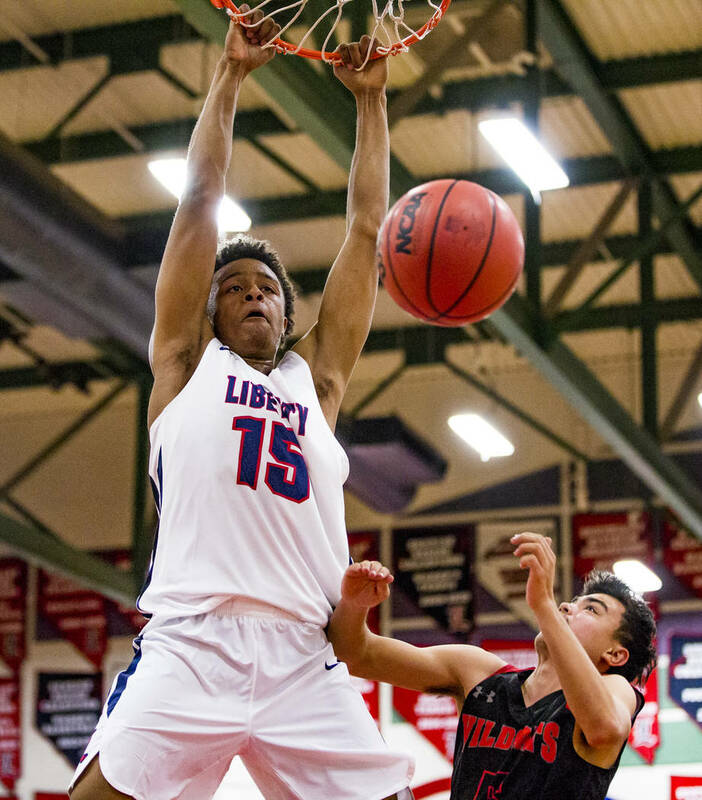 Liberty (18-9) will play Canyon Springs on Thursday night for a trip to the region championship game. 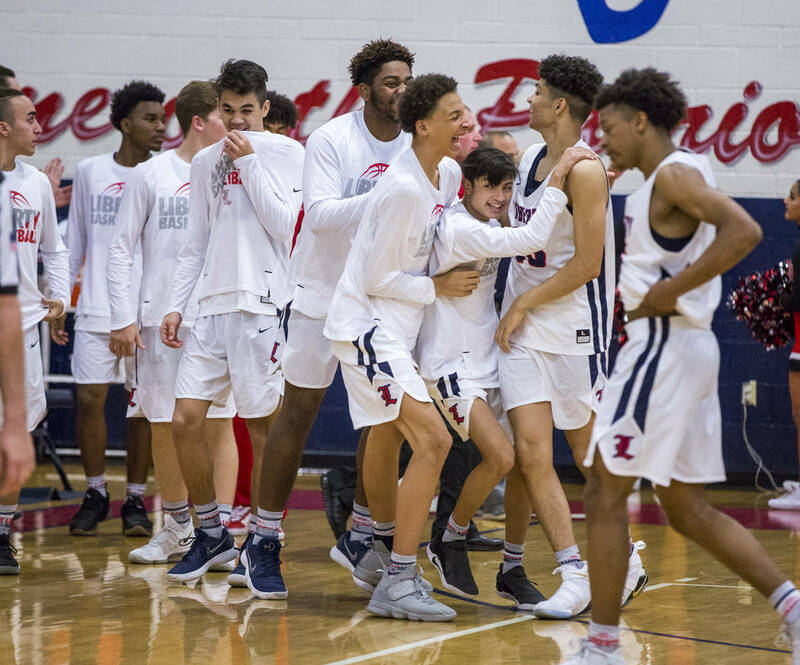 Las Vegas concludes its season with a 17-10 record. 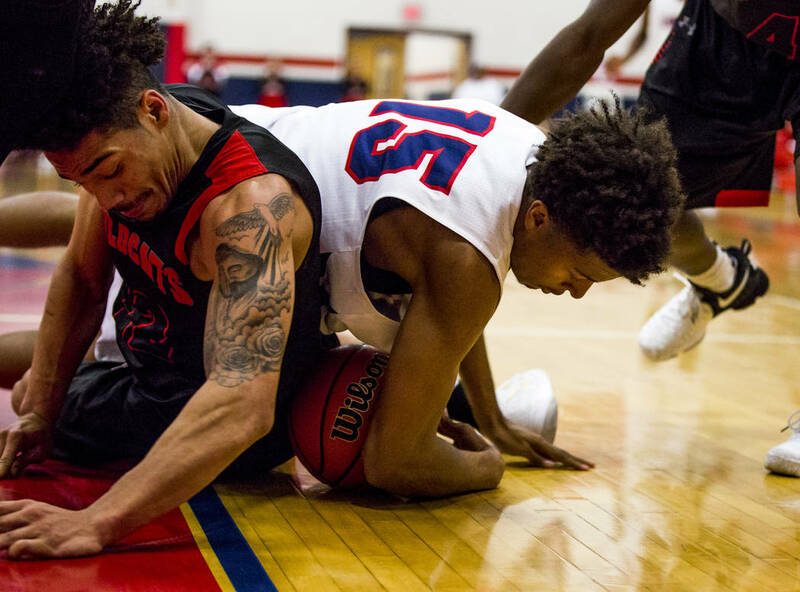 Burist did more than something — he carried his team for long stretches while sophomore star Julian Strawther sat with foul trouble. 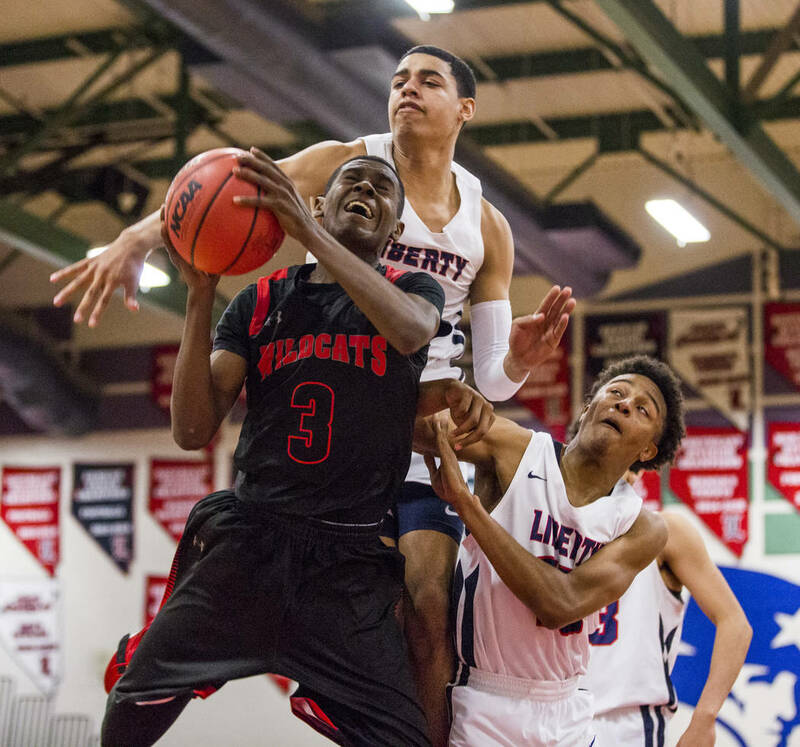 But Liberty couldn’t shake Las Vegas, which scrapped its way to a 41-all halftime score despite three fouls and minimal production from senior standout Donovan Joyner, who hyperextended his knee at practice on Friday. 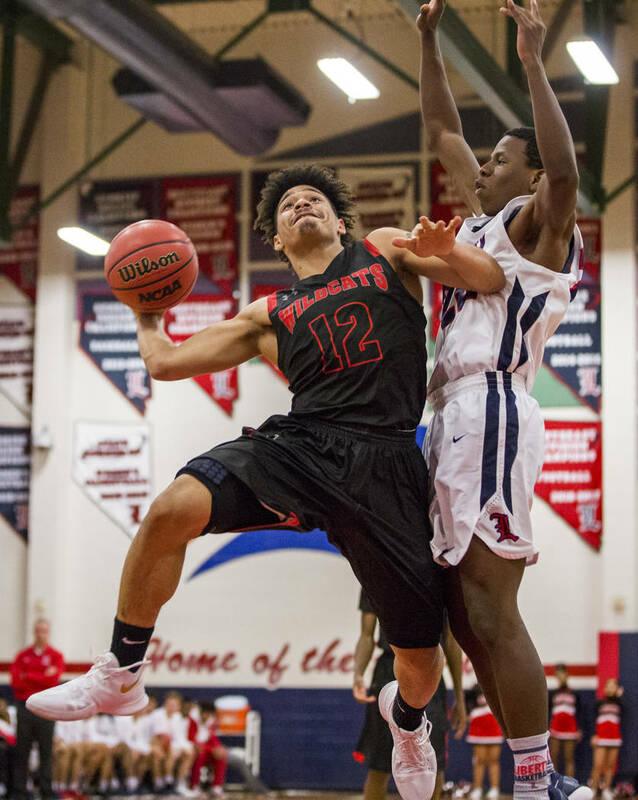 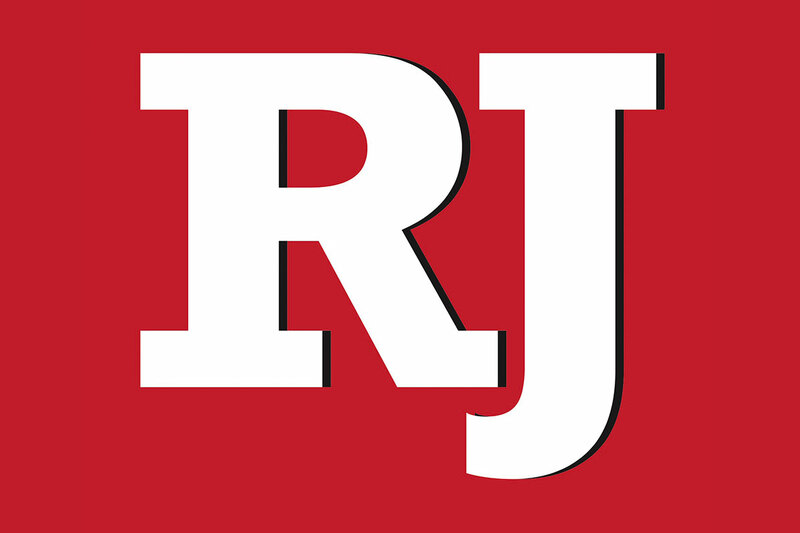 The Patriots switched to a 2-2-1 trapping defense in the second half, though, and flustered Las Vegas’ complementary players after Joyner committed his fourth foul early in the third quarter. 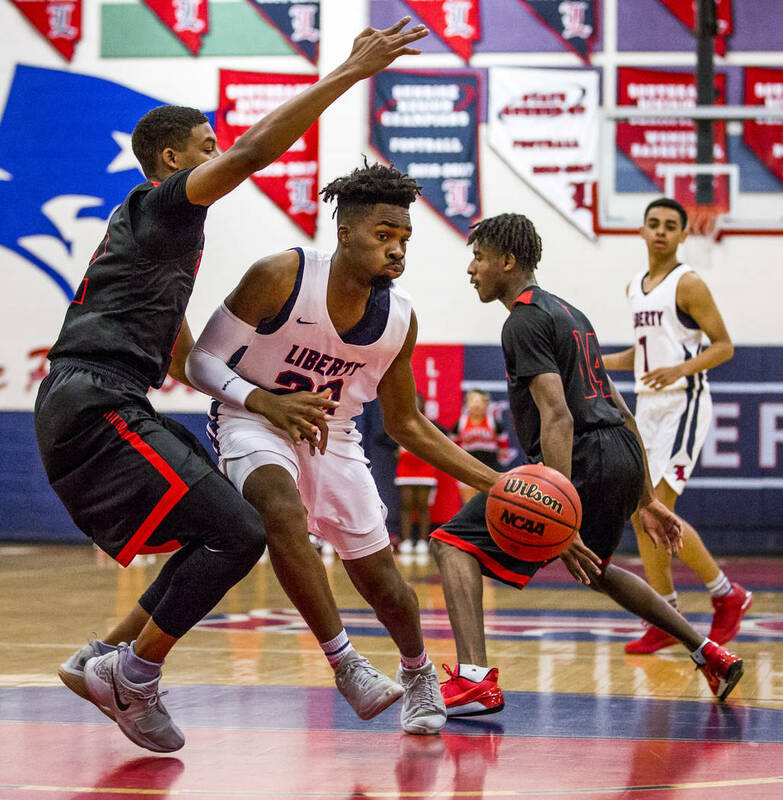 Especially junior forward Terrance Marigney, who stepped in for Strawther early in the fourth quarter and scored 12 points before fouling out. 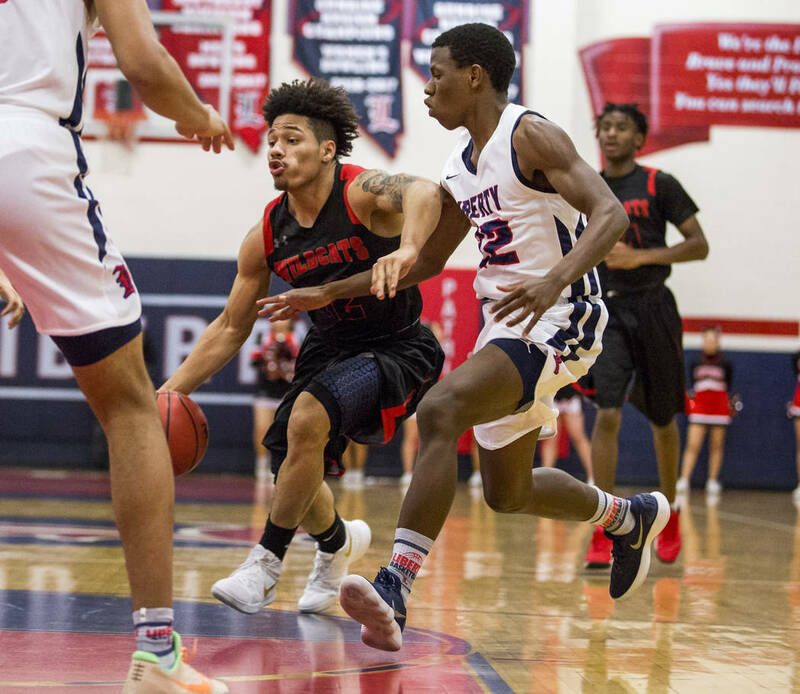 Strawther scored 15 points and Marigney finished with 14 points. 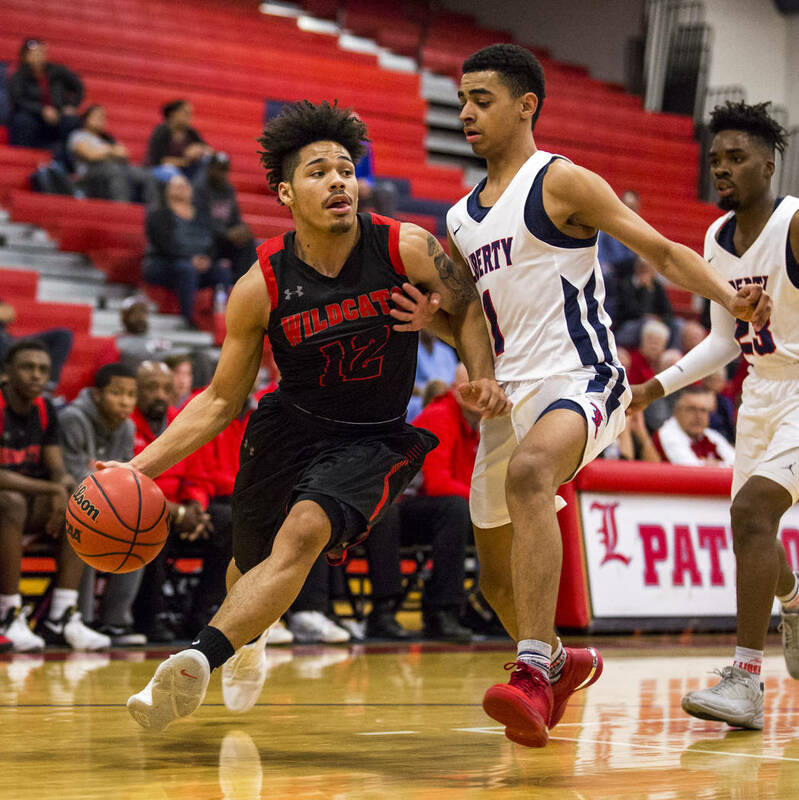 Jaylin Headen led Las Vegas with 16 points and Kiaeem Johnson-Gonzaque scored 15. 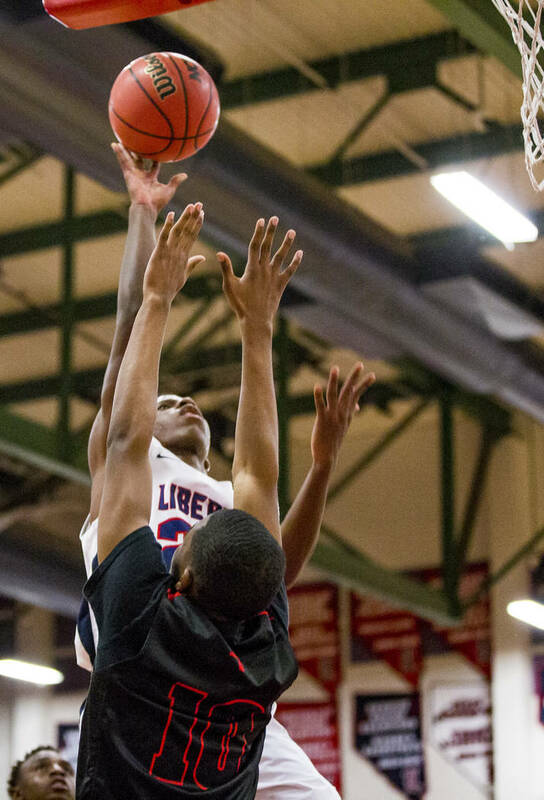 Joyner, who averaged 24.6 points per game during the regular season, finished with seven points. 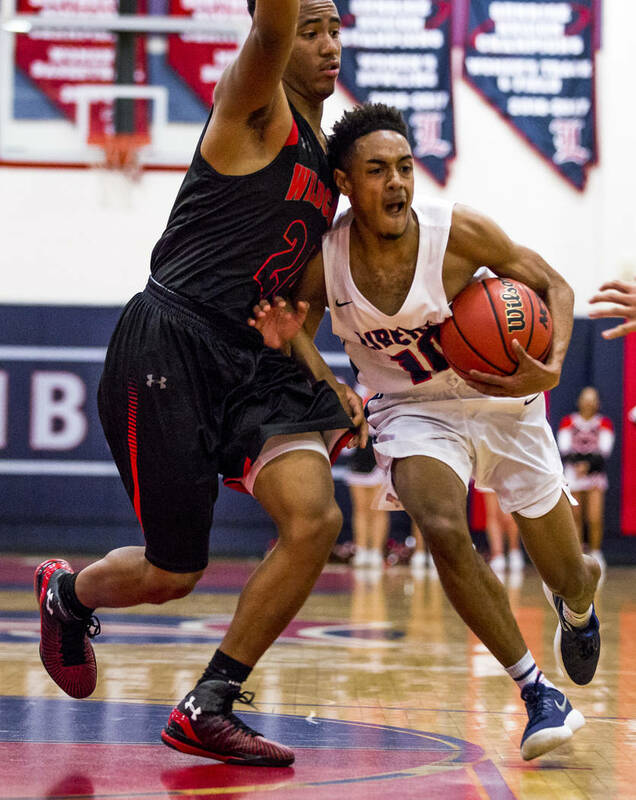 — John Harper scored 24 points to lift Mojave to a 92-91 road victory over Boulder City in the Class 3A Sunset Region quarterfinals. 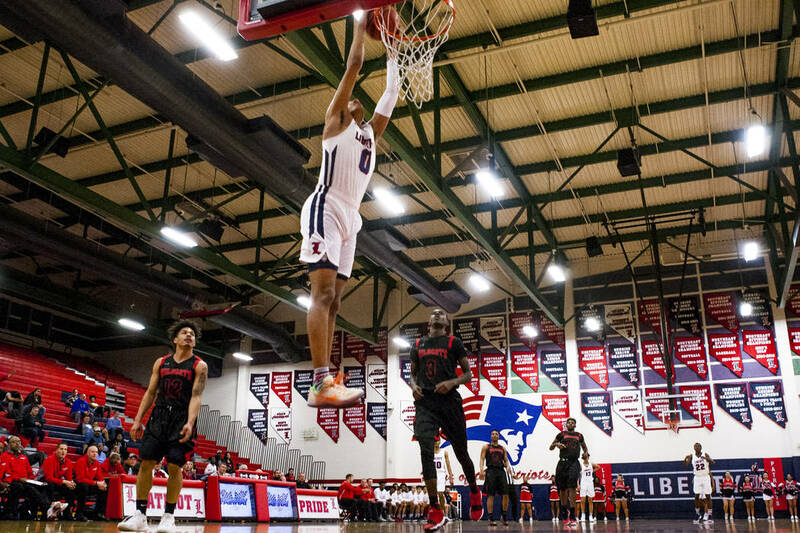 — Coronado’s Jaden Hardy had 28 points in his team’s 66-58 home win over Eldorado in the Sunrise Region quartefinals. 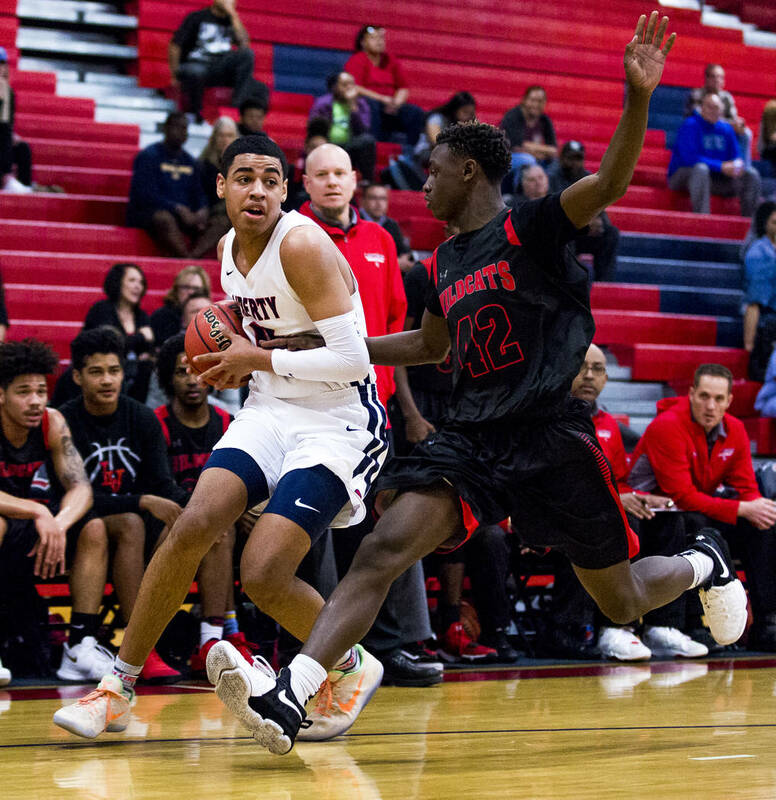 — Jalen Hill had 22 points, and helped Clark overcome a fourth-quarter deficit to earn a 66-60 home win over Centennial in the Sunset Region quarterfinals.